Even if you have no immediate plans to buy or sell, we advise our clients to be thoughtful about the colours, materials, and finishes they select when planning a remodel. Making over-personalized or unpopular design choices could hurt a home’s value when it does come time to sell. And selecting out-of-style or overly-trendy elements could cause your renovation to feel dated quickly. Experts suggest picking one metal hue to dominate your colour palette and a contrasting tone to complement it. 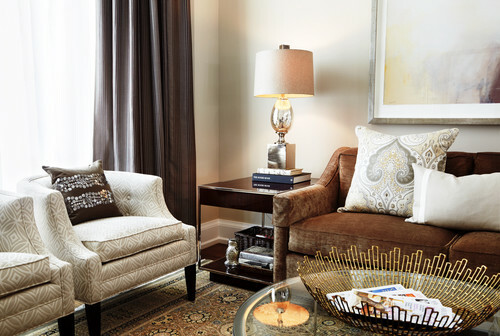 If your room has a warm color palette, choose a warm-hued primary metal, such as brass or copper. For cool palettes, choose a cool-toned metal, like pewter or stainless steel. You can also experiment with mixing finishes, such as polished and hammered copper. Stainless steel has been the industry standard for years, but the market is trending toward variety and fresh alternatives. Homeowners have more options available than ever to personalize their kitchens with vibrant colours, black stainless, or modern white appliances. Another favorite? Integrated appliances that blend seamlessly into cabinetry. Built-in column refrigerators, which allow you to customize the design and size of your freezer and refrigerator, are becoming a “must-have” in high-end homes. 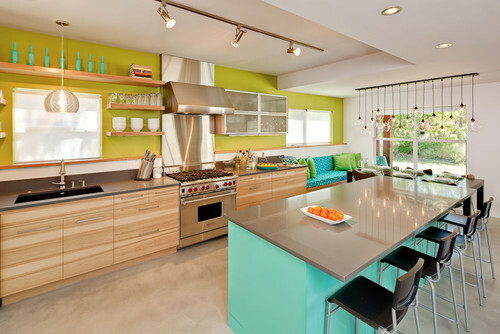 Two-tone kitchen cabinets remain a homeowner favorite, as well. To incorporate this trend, try pairing darker lower cabinets with lighter upper cabinets or a colourful kitchen island with neutral-coloured perimeter cabinets. Once an afterthought, ceilings are taking center stage. While 2018 was all about statement walls, statement ceilings are shaping up to be the darling of 2019. 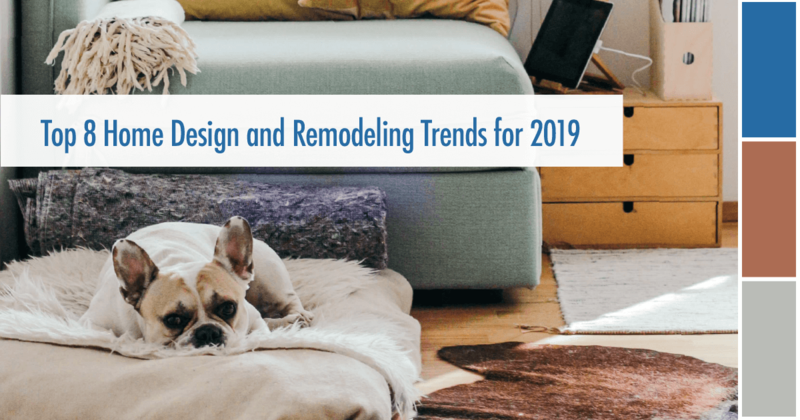 Designers are using bold paint colours, wallpaper, intricate moldings, fabric, and other materials to transform a ceiling into something truly special.